(ISC)2® has officially announced the finalists for its 14th annual U.S. Government Information Security Leadership Awards (GISLA®) program. The U.S. Cyber Challenge’s National Director and keynote Karen S. Evans will join government and industry VIPs and (ISC)² officials to honor the 2017 GISLA recipients on May 10, 2017, at the Marriott Wardman Park in Washington, D.C., along with sponsors Raytheon, KPMG LLP and The Best VPN. “The GISLA Gala is the one night of the year when we can shift our focus from what is going wrong in cybersecurity to what is going right,” said Dan Waddell, CISSP, CAP, PMP, managing director, North America Region, director of U.S. government affairs, (ISC)² and chair of the (ISC)2 USGAC. 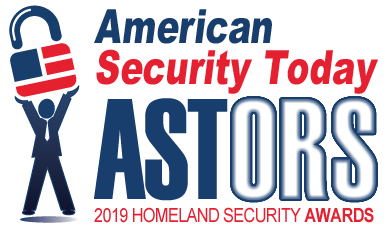 Each year, a judging committee of senior information security experts from the (ISC)² USGAC and industry reviews the nominees and recommends finalists based upon selection criteria and eligibility requirements. (ISC)² is an international nonprofit membership association focused on inspiring a safe and secure cyber world. Best known for the acclaimed Certified Information Systems Security Professional (CISSP®) certification, (ISC)2 offers a portfolio of credentials that are part of a holistic, programmatic approach to security. Our vision is supported by our commitment to educate and reach the general public through our charitable foundation – The Center for Cyber Safety and Education.